As announced last September and supported by further recent research, Google Chrome does not treat SHA-1 certificates as secure anymore, and will completely stop supporting them over the next year. Chrome will discontinue support in two steps: first, blocking new SHA-1 certificates; and second, blocking all SHA-1 certificates. 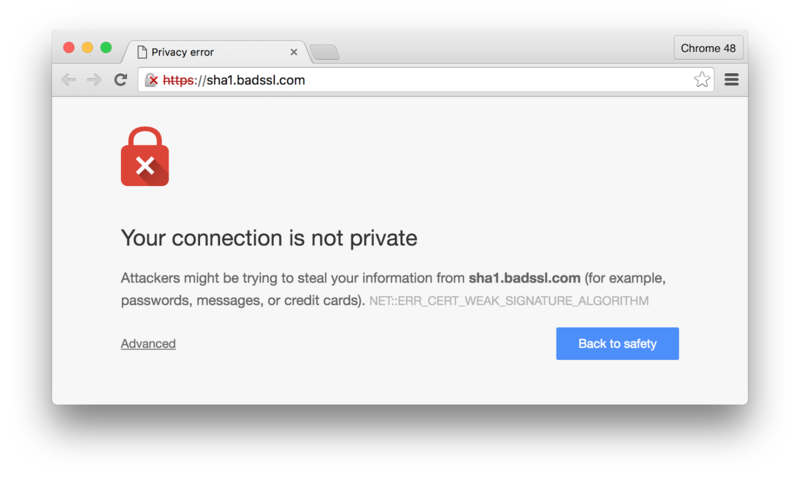 We are hopeful that no one will encounter this error, since public CAs must stop issuing SHA-1 certificates in 2016 per the Baseline Requirements for SSL. Note that sites using new SHA-1 certificates that chain to local trust anchors (rather than public CAs) will continue to work without a certificate error. However, they will still be subject to the UI downgrade specified in our original announcement. Starting January 1, 2017 at the latest, Chrome will completely stop supporting SHA-1 certificates. At this point, sites that have a SHA-1-based signature as part of the certificate chain (not including the self-signature on the root certificate) will trigger a fatal network error. This includes certificate chains that end in a local trust anchor as well as those that end at a public CA. Note that Chrome uses the certificate trust settings of the host OS where possible, and that an update such as Microsoft’s planned change will cause a fatal network error in Chrome, regardless of Chrome’s intended target date. As individual TLS features are found to be too weak, browsers need to drop support for those features to keep users safe. 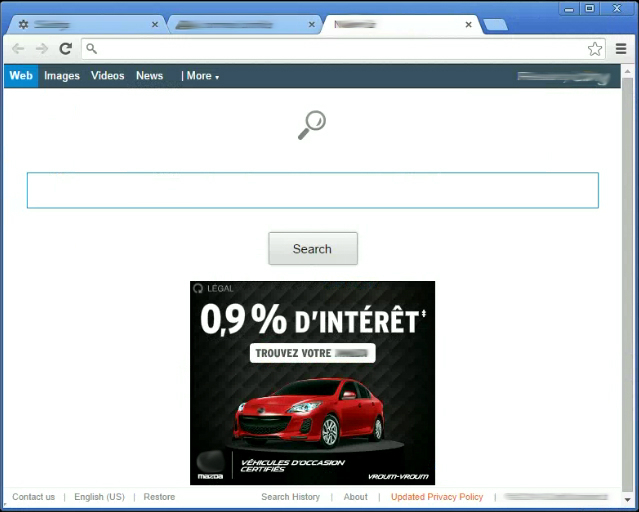 Unfortunately, SHA-1 certificates are not the only feature that browsers will remove in the near future. As we announced on our security-dev mailing list, Chrome 48 will also stop supporting RC4 cipher suites for TLS connections. This aligns with timelines for Microsoft Edge and Mozilla Firefox. For security and interoperability in the face of upcoming browser changes, site operators should ensure that their servers use SHA-2 certificates, support non-RC4 cipher suites, and follow TLS best practices. In particular, we recommend that most sites support TLS 1.2 and prioritize the ECDHE_RSA_WITH_AES_128_GCM cipher suite. We also encourage site operators to use tools like the SSL Labs server test and Mozilla's SSL Configuration Generator. The sitemaps lists the HTTPS URL, or doesn’t list the HTTP version of the URL. Over the course of the coming weeks, Google will be moving to distrust the “Class 3 Public Primary CA” root certificate operated by Symantec Corporation, across Chrome, Android, and Google products. We are taking this action in response to a notification by Symantec Corporation that, as of December 1, 2015, Symantec has decided that this root will no longer comply with the CA/Browser Forum’s Baseline Requirements. As these requirements reflect industry best practice and are the foundation for publicly trusted certificates, the failure to comply with these represents an unacceptable risk to users of Google products. Symantec has informed us they intend to use this root certificate for purposes other than publicly-trusted certificates. 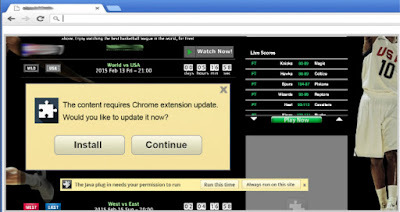 However, as this root certificate will no longer adhere to the CA/Browser Forum’s Baseline Requirements, Google is no longer able to ensure that the root certificate, or certificates issued from this root certificate, will not be used to intercept, disrupt, or impersonate the secure communication of Google’s products or users. As Symantec is unwilling to specify the new purposes for these certificates, and as they are aware of the risk to Google’s users, they have requested that Google take preventative action by removing and distrusting this root certificate. This step is necessary because this root certificate is widely trusted on platforms such as Android, Windows, and versions of OS X prior to OS X 10.11, and thus certificates Symantec issues under this root certificate would otherwise be treated as trustworthy. Symantec has indicated that they do not believe their customers, who are the operators of secure websites, will be affected by this removal. 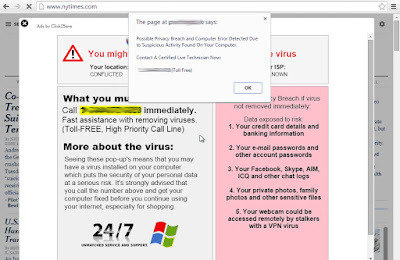 Further, Symantec has also indicated that, to the best of their knowledge, they do not believe customers who attempt to access sites secured with Symantec certificates will be affected by this. 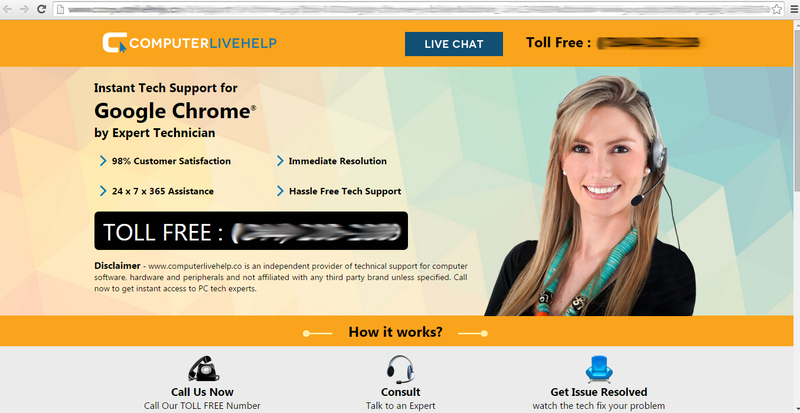 Users or site operators who encounter issues with this distrusting and removal should contact Symantec Technical Support. Launched in 2007, Safe Browsing has long helped protect people across the web from well-known online dangers like phishing and malware. More recently, however, we’ve seen an increase in user complaints like the ones above. These issues and others—hijacked browser settings, software installed without users' permission that resists attempts to uninstall—have signaled the rise of a new type of malware that our systems haven’t been able to reliably detect. More than a year ago, we began a broad fight against this category of badness that we now call “Unwanted Software”, or “UwS” (pronounced “ooze”). Today, we wanted to share some progress and outline the work that must happen in order to continue protecting users across the web. What is UwS and how does it get on my computer? It is deceptive, promising a value proposition that it does not meet. It tries to trick users into installing it or it piggybacks on the installation of another program. It doesn’t tell the user about all of its principal and significant functions. It affects the user’s system in unexpected ways. It is difficult to remove. It collects or transmits private information without the user’s knowledge. It is bundled with other software and its presence is not disclosed. Next, we had to better understand how UwS is being disseminated. This varies quite a bit, but time and again, deception is at the heart of these tactics. Common UwS distribution tactics include: unwanted ad injection, misleading ads such as “trick-to-click”, ads disguised as ‘download’ or ‘play’ buttons, bad software downloader practices, misleading or missing disclosures about what the software does, hijacked browser default settings, annoying system pop-up messages, and more. We now include UwS in Safe Browsing and its API, enabling people who use Chrome and other browsers to see warnings before they go to sites that contain UwS. 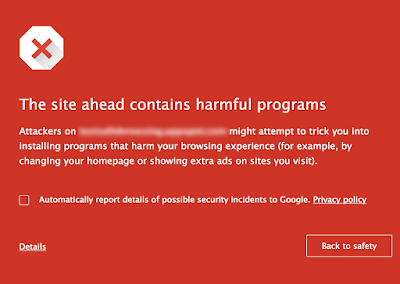 The red warning below appears in Chrome. We launched the Chrome Cleanup Tool, a one-shot UwS removal tool that has helped clean more than 40 million devices. 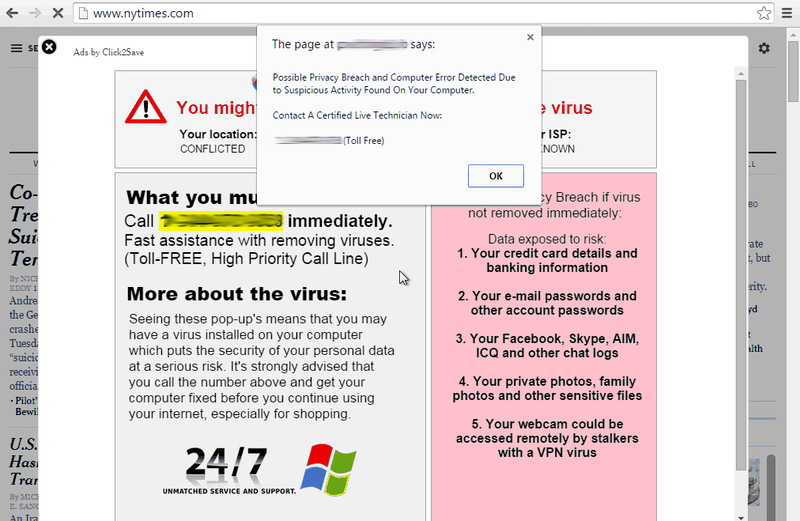 We shed more light on a common symptom of UwS—unwanted ad injectors. We outlined how they make money and launched a new filter in DoubleClick Bid Manager that removes impressions generated by unwanted ad injectors before bids are made. 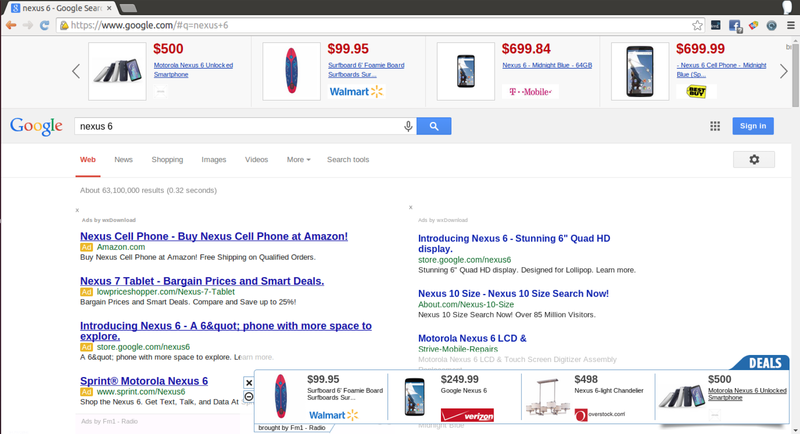 We started using UwS as a signal in search to reduce the likelihood that sites with UwS would appear in search results. 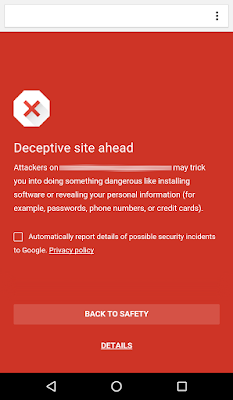 We started disabling Google ads that lead to sites with UwS downloads. It’s still early, but these changes have already begun to move the needle. UwS-related Chrome user complaints have fallen. Last year, before we rolled-out our new policies, these were 40% of total complaints and now they’re 20%. We’re now showing more than 5 million Safe Browsing warnings per day on Chrome related to UwS to ensure users are aware of a site’s potential risks. We helped more than 14 million users remove over 190 deceptive Chrome extensions from their devices. 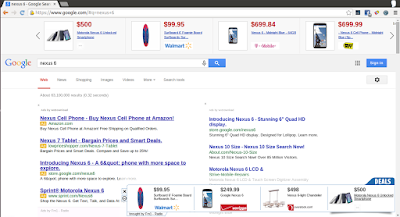 We reduced the number of UwS warnings that users see via AdWords by 95%, compared to last year. Even prior to last year, less than 1% of UwS downloads were due to AdWords. However, there is still a long way to go. 20% of all feedback from Chrome users is related to UwS and we believe 1 in 10 Chrome users have hijacked settings or unwanted ad injectors on their machines. We expect users of other browsers continue to suffer from similar issues; there is lots of work still to be done. Given the complexity of the UwS ecosystem, the involvement of players across the industry is key to making meaningful progress in this fight. This chain is only as strong as its weakest links: everyone must work to develop and enforce strict, clear policies related to major sources of UwS. We’re still in the earliest stages of the fight against UwS, but we’re moving in the right direction. We’ll continue our efforts to protect users from UwS and work across the industry to eliminate these bad practices. 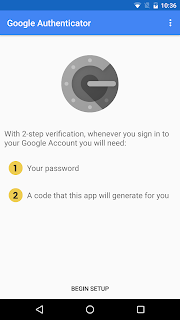 Authenticator for Android is used by millions of users and, combined with 2-Step Verification, it provides an extra layer of protection for Google Accounts. Our latest version has some cool new features. You will notice a new icon and a refreshed design. There's also support for Android Wear devices, so you'll be able to get verification codes from compatible devices, like your watch. 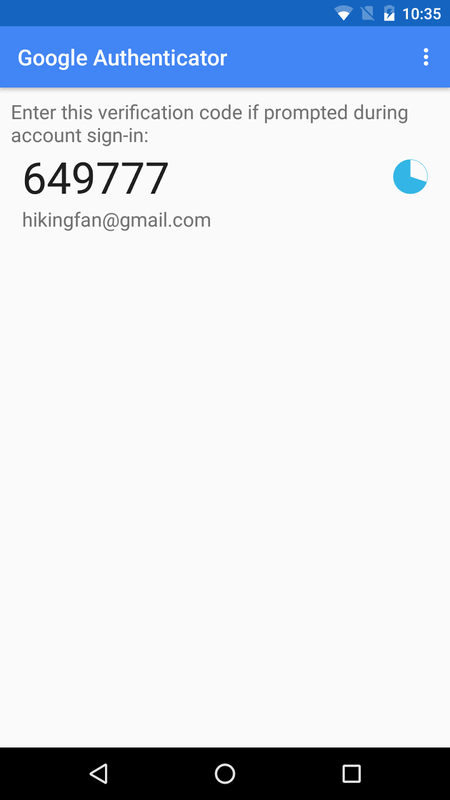 The new Authenticator also comes with a developer preview of support for NFC Security Key, based on the FIDO Universal 2nd Factor (U2F) protocol via NFC. 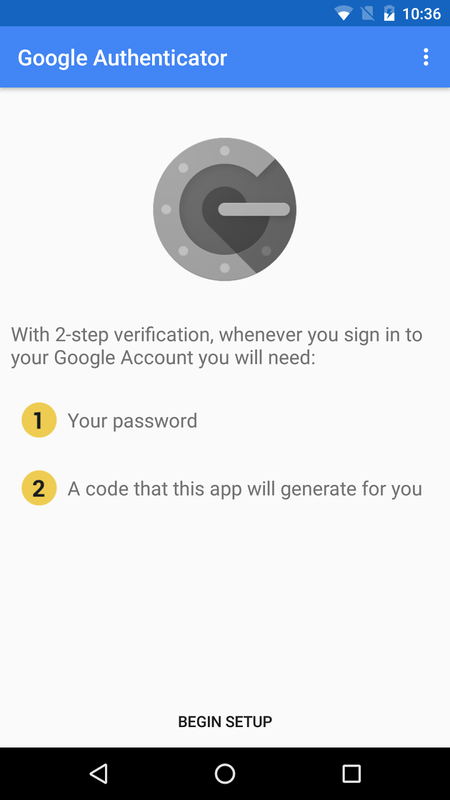 Play Store will prompt for the NFC permission before you install this version of Authenticator. Developers who want to learn more about U2F can refer to FIDO's specifications. Additionally, you can try it out at https://u2fdemo.appspot.com. Note that you'll need an Android device running the latest versions of Google Chrome and Authenticator and also a Security Key with NFC support. 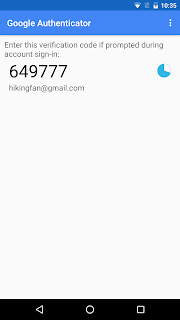 You can find the latest Authenticator for Android on the Play Store. 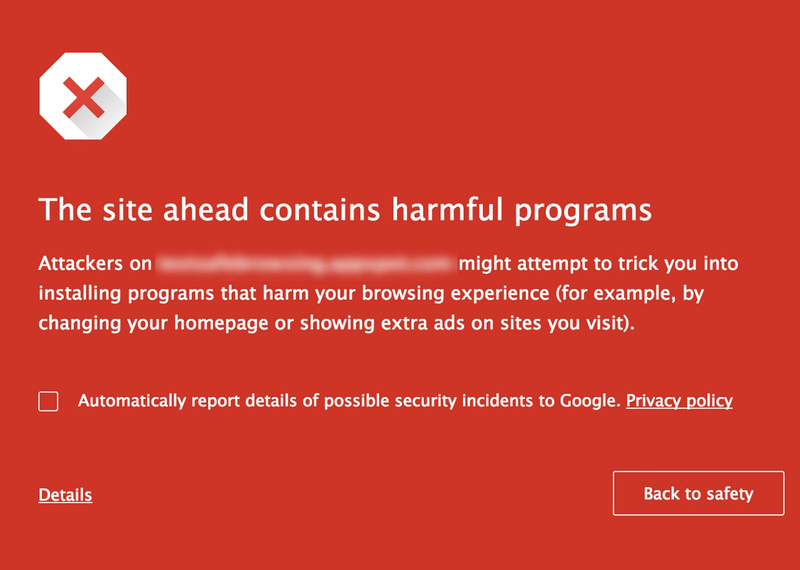 Google Safe Browsing has been protecting well over a billion desktop users against malware, unwanted software, and social engineering sites on the web for years. Today, we’re pleased to announce that we’ve extended our protective umbrella to hundreds of millions of Chrome users on Android. If you’re an Android user, you probably already have it! 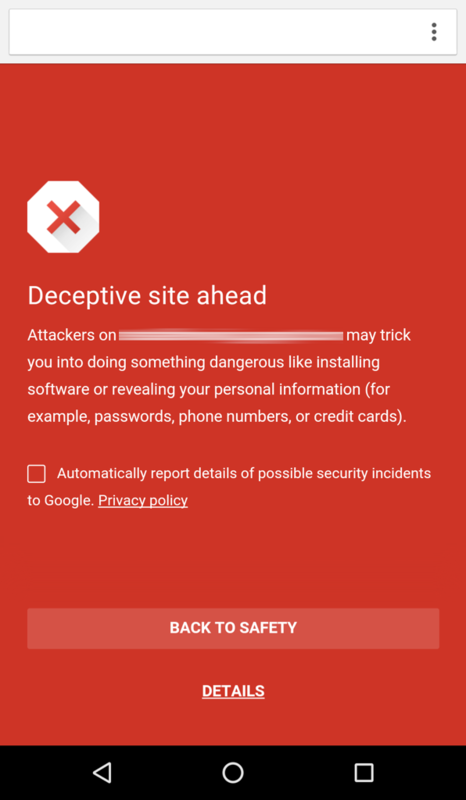 This new Safe Browsing client on Android is part of Google Play Services, starting with version 8.1. The first app to use it is Chrome, starting with version 46—we’re now protecting all Android Chrome users by default. If you look at Chrome’s Settings > Privacy menu, you can verify that Safe Browsing is enabled and that you’re protected. 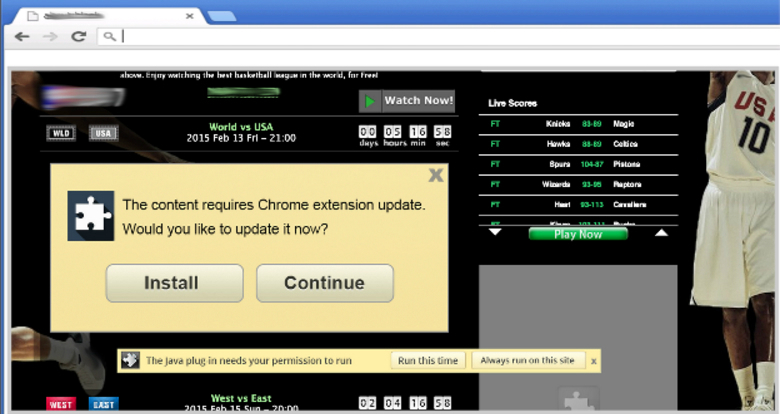 Chrome warns you about dangerous sites as shown below. It does this while preserving your privacy, just like on desktop. The Android platform and the Play Store have long had protection against potentially harmful apps. And as our adversaries have improved their skills in trying to evade us, we’ve improved our detection, keeping Android app users safe. But not all dangers to mobile users come from apps. Mobile data costs money for most users around the world. Data size matters a lot. Mobile data speeds are slower than Wi-Fi in much of the world. Data size matters a lot. Cellular connectivity quality is much more uneven, so getting the right data to the device quickly is critically important. Data size matters a lot. Bytes are big: our mantra is that every single bit that Safe Browsing sends a mobile device must improve protection. Network bandwidth and battery are the scarcest resources on a mobile device, so we had to carefully rethink how to best protect mobile users. Some social engineering attacks only happen in certain parts of the world, so we only send information that protects devices in the geographic regions they’re in. We also make sure that we send information about the riskiest sites first: if we can only get a very short update through, as is often the case on lower-speed networks in emerging economies, the update really has to count. We also worked with Google’s compression team to make the little data that we do send as small as possible. Together with the Android Security team, we made the software on the device extra stingy with memory and processor use, and careful about minimizing network traffic. All of these details matter to us; we must not waste our users’ data plans, or a single moment of their battery life. We hunt badness on the Internet so that you don’t discover it the hard way, and our protection should never be an undue burden on your networking costs or your device’s battery. As more of the world relies on the mobile web, we want to make sure you’re as safe as can be, as efficiently as possible.